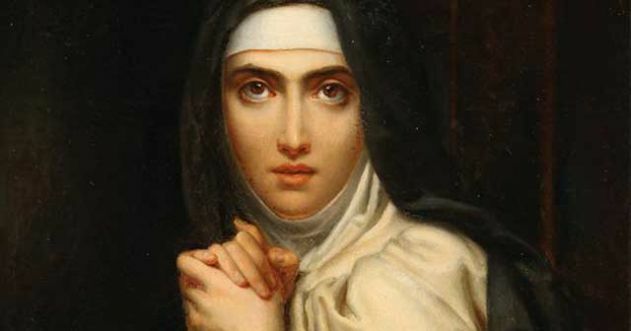 The Order of Discalced Carmelites, friars, nuns, and seculars, the entire Teresian family, in union with the whole Church, today celebrates the 500th anniversary of the birth of its foundress, Saint Teresa of Jesus, Doctor of the Church. At the request of the Father General of the Order, during the span of this day a world hour of prayer for peace will take place in all convents, monasteries, and fraternities. I unite myself joyfully to this initiative and begin with these words our supplication to God, Father of all of us, so that, through the intercession of Christ Jesus, he will pour his Spirit over all the nations, so that dialogue among men will triumph over violence and the conflicts that scourge our world. 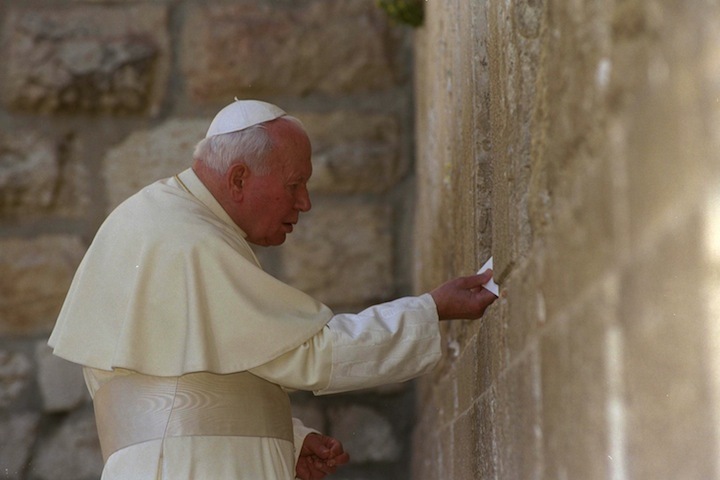 To this prayer I invite all faithful Catholics, all Christians of other denominations, and also members of other religions and men and women of good will. “The world is all in flames […] and are we to waste time asking for things that if God were to give them we would have one soul less in heaven? 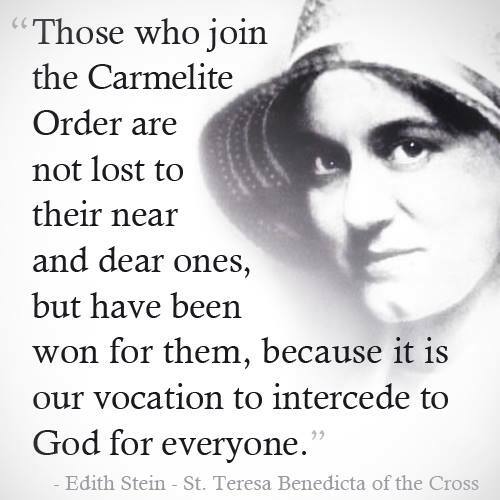 No, my Sisters, this is not the time to be discussing with God matters that have little importance” (Teresa of Jesus, Way of Perfection 1,5). The world is all in flames is the sorrowful cry of Teresa as she contemplates the conflicts, wars, and divisions in society and the Church of her time. Today we also make this our cry and present it to Jesus as a supplication: Lord, the world is all in flames! Joined to the Cross of Christ and from the hand of the Virgin, his Mother and our Mother, and from the hand of Teresa, we beseech God to increase the opportunities for dialogue and encounter among men, that we learn to ask for forgiveness so that peace may grow in the world like the fruit of the reconciliation that he has come to bring to us. Lord Jesus Christ, Spouse of our souls, heal us from every division that separates us from you.